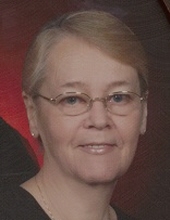 Connie M. Brasmer, 67, of Rock Island, passed away Sept. 25, 2017, at her home. Burial will be at the Rock Island Arsenal at a later date. Quad Cities Cremation Center is assisting the family. Connie was born Feb. 26, 1950, in Amherst, Ohio, the daughter of Lawrence and Stella Cook Haws. She married John Brasmer in Davenport. Survivors include her husband; daughter; grandchildren; and two sisters. Connie was preceded in death by her parents and two brothers. To plant a tree in memory of Connie Brasmer, please visit our Tribute Store. "Email Address" would like to share the life celebration of Connie Brasmer. Click on the "link" to go to share a favorite memory or leave a condolence message for the family.